Essential for anyone who loves Star Wars. These bright, colorful socks are built to last - and look great! 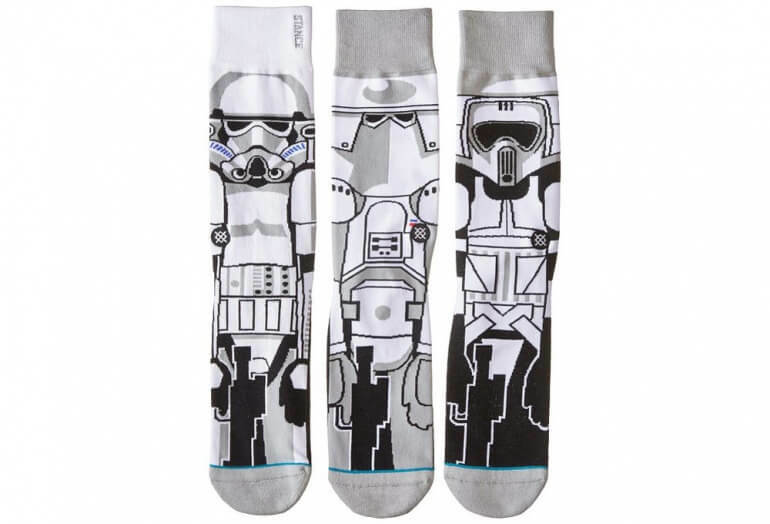 Stance is known for creating some of the most amazing socks on the planet. Their construction is unmatched (it took us 4 years of regular wear to finally put a hole in one pair!). 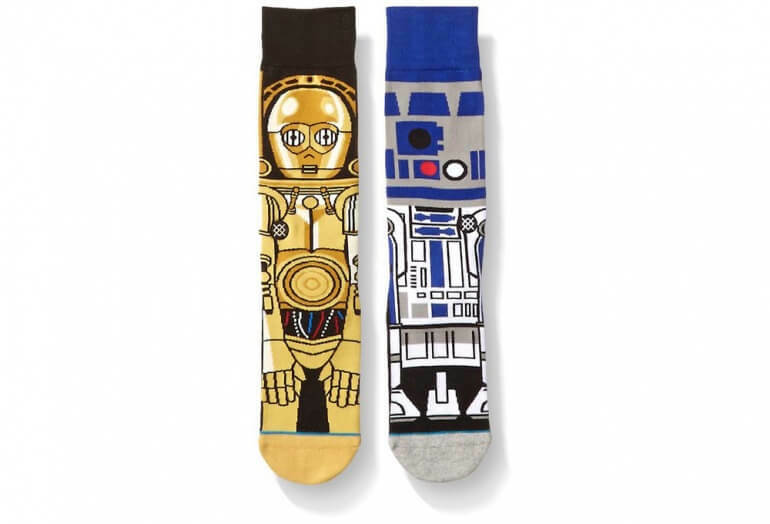 Combine amazing quality, great design and Star Wars and you have some of the coolest socks of all time. 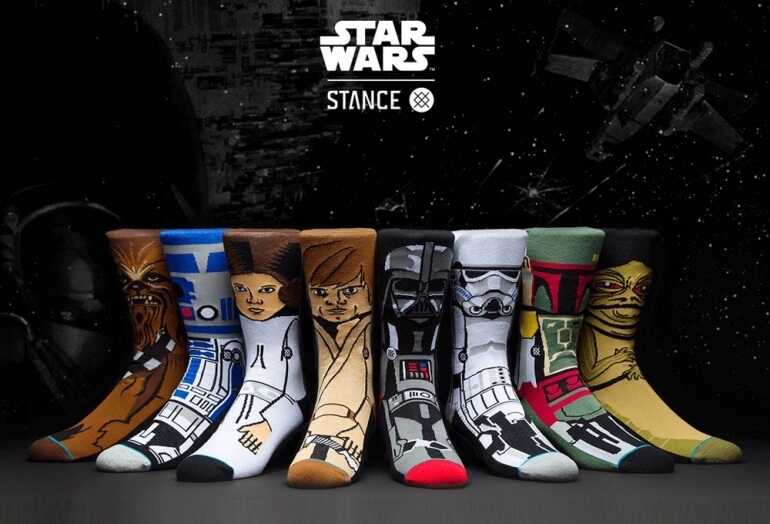 The Star Wars collection from Stance features a wide range of characters from the movies recreated in superior foot fashion. The collection is available in adult and kids sizes. Features: Reinforced heel and toe, elasticized arch band, seamless closure.